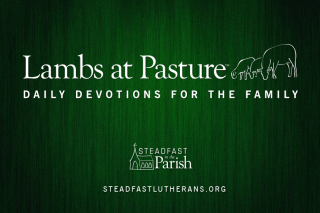 Home→0Steadfast in ...→Steadfast in the Pew→Liturgy: Do We Really Want to Go to Heaven? In 1964, my oldest brother, David, participated in the Sixth National Jamboree of the Boy Scouts of America at Valley Forge. The rest of the family, on our way to the New York World’s Fair, visited him. For a whole day, we were immersed in the sights, activities, and wonders amidst 52,000 Scouts and leaders in that historic setting. Through my 12 year old eyes, it was fantastic. In 1969, I had the chance to attend the Seventh National Jamboree at Farragut State Park, Idaho, at the site of a WWII U. S. Navy training base on Lake Pend Oreille. My next oldest brother, Richard, had attended the Twelfth World Jamboree there in 1967, and from his stories, photographs, and souvenirs, it seemed fantastic too. Did I want to go to the Jamboree? What kind of question is that? Of course! A special train carrying only Scouts to Sandpoint, Idaho stopped in my hometown, Williston, North Dakota, where a troop of us embarked. The immersion already had begun, swapping stories, patches, and skills. Once there, it was not long before we found our troop’s assigned camping spot and pitched our tents. My imagination was full of my memories from five years earlier at Valley Forge, when I’d gotten around so much, saw so much, met so many people, and joined on the spot in so many activities. I had assumed that the Scouts were doing about the same things I was. But there were a couple things wrong with my eyes. I had seen Valley Forge not only with the eyes of a child, but the eyes of tourist. I was only passing through. For me, it was all fun and games. I had not realized that for the Scouts, it was not all fun and games. I soon learned that as a Scout, not a visitor, a lot of my time was to be spent doing the same things over and again that Scouts always do in every camp. Starting fires, cooking, washing mess kits, policing the area, knots, lashing, first aid, and so on. Yes, we got into a lot of fun stuff too, like log rolling, mountain hiking and climbing, orienteering, and trading. But the repetitive stuff, the regular stuff, commanded a disappointing amount of the time. Had I known this, would I have been as excited about going to the Jamboree? Truthfully – and I am not proud to say it – but no. I wanted it to be all new and different, like my childish, tourist imagination. If you are going to a Jamboree, you’d better like to make fires, cook over fires, tie knots, lash poles – you’d better like to do what Scouts do over and again, all the time. And heaven is like that. We have childish, tourist imaginations about heaven. Ask me the question, “Do you want to go to heaven?” For most of my life, I would have said, what kind of question is that? Of course! Part of that is because, heaven means not hell. But part of it because of fantastic imaginations we have about everything always being new and different, about nothing being regular and repetitive. We assume there is no handful of things we’d better really like to do, or else heaven will be a disappointment, because in heaven we’ll do them over and again forever. The Bible does give us some nice, fantastic revelations about heaven. It has streets of gold, a sea of glass mixed with fire, a city of precious jewels, strange creatures, and more. But when we read through Revelation, we find out that there are some regular, repeated things going on, and everybody gets caught up in them, over and over. Strangely, part of this is singing “a new song.” How can it keep being new, when everybody sings it over and over? Doesn’t that get old? Doesn’t that become mundane? Doesn’t the Jamboree have more variety? Chapter 4. “Day and night they never cease to say ‘Holy, holy, holy, is the Lord God Almighty, who was and is and is to come!’” Really? They never cease to say? Day and night? That’s worse than the Jamboree! It looks like, if we’re going to this Jamboree, if we’re going to heaven, to enjoy ourselves, we’d better like to worship. And not only that, we’d better like liturgy! We’d better like liturgy, because they keep up this new song over and again with the same words in the same order. The only thing that will stop it from getting old is: liking it. How can we like the same thing over and again eternally? What is that new song that stays new? It is the song of the blood of Christ given to us for the forgiveness of sins. It doesn’t look like anybody gets out of that activity. Everybody sings the same song over and again. 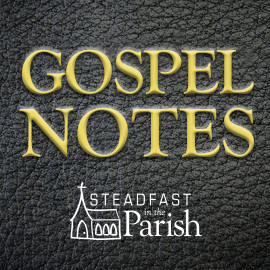 What keeps it new is that the song is about the Lamb of God, slain for sinners, and his blood ransoming sinners from everywhere into his kingdom. See, here’s the deal. If we know our sin, if we know our guilt, if we know its power, if we know its ruin, then the forgiveness of sins in Jesus never gets old. It is always the Lamb. It is always what Palm Sunday should have been. It is always salvation. It never gets old. Think it’s not liturgical? Think liturgy was just made up by the church in a crusty old time? Well, it’s older than we think. In Chapter 15, “They sing the song of Moses, the servant of God, and the song of the Lamb.” Yup. The Song of Moses in heaven repeatedly forever. The song of the Lamb, same way. In Farragut State Park one night at the Jamboree, 35,000 of us assembled in a natural outdoor amphitheater to hear Up With People. It was great. I bought the album. Now I don’t know where it is. It was great, but it got old. In heaven, there will be a greater multitude, singing, if I may take a liberty, Up With God. But notice, the glory and honor and power that belong to the Lord our God are spoken after the repetitive, liturgical rehearsal of the salvation that belongs to him. In the divine service of the historic Lutheran liturgy, our Savior steps through a kind of star gate, if you will, and brings heaven to earth. With his gifts of Word, Baptism, and Communion, He again serves us, as when he got down on his knees with basin, water, and towel to wash Peter’s feet. We sing over and again, the same form of words, liturgically, as we will for ever and ever in heaven. The song always is new because it is the song of the forgiveness of sins. It is the song of the Lamb who takes away the sin of the world, the Lamb slain from before the foundation of the world. Do we really want to go to heaven? Do we confess sin? Do we believe the Absolution? Do we hunger and thirst for the righteousness of faith? Do we discern the true body and blood of Jesus in the bread and wine? Do the words, “Given and shed for you for the remission of sins,” convince us over and again that with the bread and wine we receive the forgiveness of sins because we receive the blood that was shed for the forgiveness of sins? Do we believe that what Christ once offered to the Father as sacrifice he now offers to us as sacrament? If we have an appetite for the divine service, for the historic Lutheran liturgy, we are prepared for heaven. We are prepared to sing over and again forever, the songs that always are new. We already have tasted heaven, in the divine service. Fantastic article! Thanks for posting it. Beautiful, faith strengthening article. Thank you. What about wanting more badly to experience the new heavens and new earth? I thought this post was going to be on the Nicene Creed’s life in the world/age to come, or something similar. Not long ago I attended a funeral where one of the hymns that was sung was “I’m But a Stranger Here”. The refrain that repeats throughout this hymn is “Heav’n is my home.” It’s a nice thought. Every Christian should readily acknowledge that upon their death, they will go to heaven. It’s not boastful for we know that it is not our worth that takes us to heaven, but by the grace of our Lord, Jesus Christ who died for our sin. But I wondered, “Is heaven really to be my home … forever and ever?” Or is heaven to be our place to await the resurrection of all saints? I believe that when God created the heavens and the earth, He intended man to dwell upon the earth and to have dominion over the earth. The fall changed everything. But is it not God’s intention to restore what He once created and declared “good” … “very good”? So while heaven is where we will dwell until the resurrection of our bodies, is it not for us to expect that the “New Earth” will become our home forever and ever? Outstanding. And another article that I am percolating. Thanks for the great note. 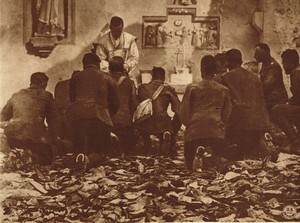 Have you any thoughts on the origins of the word ‘liturgy’ as God’s work of grace on behalf of the people? It seems to call for the routine nature of the liturgy as being the manner in which the Holy Spirit performs work on the church. Sequentially infuse sacramental in-person gatherings.